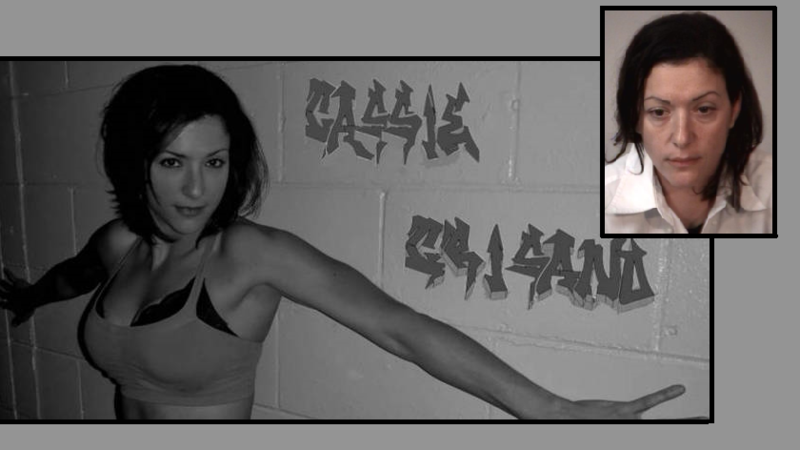 Cassie Crisano, 37, known to the mixed martial arts community as “The Evil Angel”, will head to court next week for a preliminary hearing in Stafford, Virginia. The former Prince George County, Maryland police officer and MMA fighter is due in Stafford General District Court, October 19, after being charged with charged with multiple offenses, including fraud, identity theft and attempted arson, earlier this year. Last month a judge denied bail for Crisano after she plotted to burn down the Stafford County Public Safety Building and attempting to burn the residence of her child’s father in Fairfax County. According to testimony and court records, Crisano was initially arrested Aug. 31 after being accused of conning an insurance company out of $20,000. Crisano then allegedly staged a burglary at a home she shared with a Pentagon police officer on Cannon Ridge Drive in southern Stafford. The officer is also the father of Crisano’s young daughter. According to a report from Frederickburg.com, “The Stafford Sheriff’s Office began an investigation in August after Crisano’s former friend, Terry Linton, told police about the insurance fraud. Linton, 31, was a fraud investigator for the Navy Federal Credit Union when he was arrested in Frederick County in July on a charge of soliciting a child on the Internet. “In an apparent attempt to reduce his own legal troubles, Linton told police about the fraud case in Stafford. The Sheriff’s Office executed a search warrant at the Cannon Ridge Drive address and found the property that had been reported stolen, along with 93 account numbers from Navy Federal and names and dates of birth. Police also recovered three different identifications on Crisano when she was arrested; all three are for Navy Federal customers. “Unaware that Linton was the one who’d set her up, according to the evidence, Crisano contacted Linton on Sept. 3, three days after she was released on bond. In a taped phone call, Crisano implored Linton to help her destroy the Public Safety Building as a way to get rid of the evidence against her. Crisano allegedly showed up for a prearranged meeting with Linton about 10:20 p.m. Sept. 3 to carry out the plot. Instead, she was greeted and arrested by Stafford detectives. Crisano had latex gloves and a gasoline can, among other things, when she was arrested. Crisano left police force several years ago after being diagnosed with post-traumatic stress disorder after seeing her partner get shot. She held a professional mixed martial arts record of 2-3 with her last fight taking place in 2014.